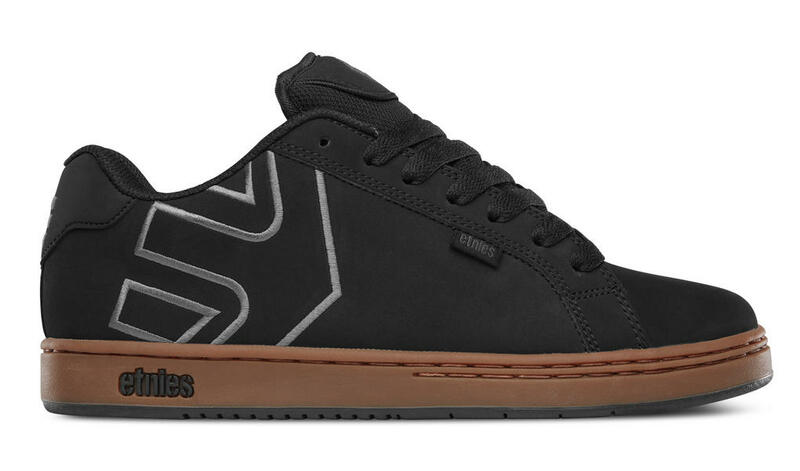 This iconic Etnies skate shoe with the trademark Etnies logo integrated into the heel area keeps selling season after season. The Fader style has been in the Etnies shoe range for many years. The Fader comes with a super durable 300 NBS rubber outsole, it also features an egg crate construction in the midsole to add some extra cushion. This classic style comes with a die cut EVA insole and padded tongue and collar for additional protection and comfort so you can skate and walk for longer.